Looking to buy an ATM machine and wondering which is the best ATM machine for your money? If so, you have come to the right place. In this guide, we compare three of the industry’s top ATM machines based on their cost, features, reliability, and overall value to the small business owner, recommending the one we feel is the best ATM machine for your small business. Another option is to use an ATM service such as Prineta. They’ll install and service your ATM for free while you earn a commission on withdrawals. Click here to schedule a consultation today. 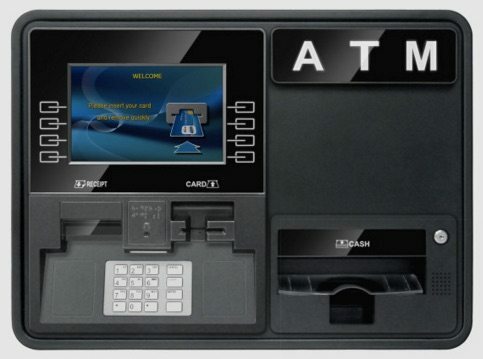 We recommend the GenMega G2500 as the the best ATM machine for small business owners because it is affordable, reliable, recommended by many industry professionals, and has all the features your business will need in an ATM machine. One of the main reasons we recommend the GenMega G2500 for small business owners, is because it is the ATM of choice among industry professionals. I talked with several different ATM companies and they all recommended the GenMega G2500 as the best choice for small business owners. 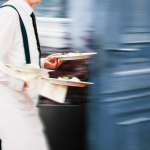 Consistent recommendations within an industry rarely happens, which is why we stand up and take notice when it does. 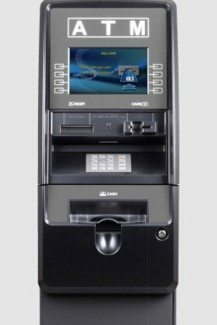 There are several reasons the GenMega G2500 is the ATM machine of choice in the industry. For one, it is one of the more affordable ATM machine options for the features it has. Also, it has a reputation as one of the most reliable machines, with quality parts and a no-nonsense design that has stayed consistent for a number of years, assuring easier part-replacement and better service quality. Lastly, it looks good and has the aesthetic appeal to fit in all but the highest end of establishments. If you want a super reliable ATM machine with just a little more class and sophistication than the GenMega G2500, then the GenMega Onyx is a solid choice. It has the same design reliability and that is associated with all GenMega products but has an added sleekness of design and larger screen that would work well if your business is a little higher-end, especially considering it is only several hundred dollars extra in cost. Hyosung ATM machines do not have quite the design consistency as the GenMega’s, making it a little harder at times to find parts and service machines. But, the Hyosung 2700 CE is a very well rated machine overall. It is a little higher end than the GenMega 2500 and is more comparable to the Onyx. But, it does have some add-ons that the Onyx does not, such as fingerprint ID, a built-in security camera, and more. If you are looking for a little more technological machine, you should look into the Hyosung 2700 CE. The only reason to use a different machine than the ones reviewed in this guide, is if you need a wall-mount or through-wall (drive through) ATM machine. If so, here are our recommendations. Not sure where to put your ATM? Our Retail Layout Guide can help you plan your store. mount is sleek and professional. It is relatively affordable, costing around $2,500 – $2,700 for the standard package. One of the main reasons the GenMega Onyx stands out, is because it is one of the few wall-mount machines at that price range that can handle up to 1000 notes in cash, with many other models holding more in the 500-800 note range and often costing more. That means with the Onyx you will have less chance of running out of cash and need to fill the machine less as well. 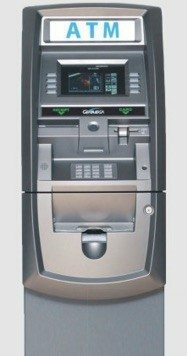 If you are looking for a through-wall drive through ATM machine, the GenMega GT 3000 is probably your best bet. It is not a super fancy machine, but it will get the job done and costs quite a bit less than other options, at around $3,300 to $3,500 for the standard package. Many other through-the-wall machines cost $4,500 and more. When it comes to pricing, the GenMega G2500 is the winner. The GenMega ONYX and Hyosung 2700CE are a little bit more expensive, but are also a little higher-end in their features and look. Of course, purchasing the ATM Hardware is only one cost component of having an ATM machine, you also have to factor in another $2,000 or so for the cash to put inside the machine. For a full list of all upgradable options and associated costs for each machine, check out the table near end of the article. You can also hire an ATM service such as Prineta that will install and maintain your ATM machine for free while you collect a commission on withdrawals. Click here to schedule a free consultation. The GenMega G2500 starts at right around $2,000 for the standard package. 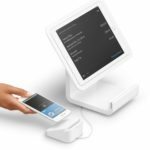 The standard package includes an 8” LCD screen, an 800 note fixed cassette, a mechanical dial-lock, and a 2” receipt printer. The cost of upgrade options vary, from $50 or so for a 1,000 note cassette to $600+ for the high-security Cencon safe lock. Our reseller, blank, has a great package for $2,050, which includes a 1000 note removable cassette, an electronic safe lock, and 24 months parts warranty. The GenMega Onyx starts at right around $2300 for the standard package, which includes a 10.1” color LCD screen, and 800 note fixed cassette, a mechanical dial lock, and a 2” receipt printer. Because the Onyx is also a GenMega, the upgrade costs are nearly identical to those of the G2500, mentioned above. The Hyosung 2700 CE will cost you around $2400 for the standard package. The standard machine includes a 10.2” LCD screen, a 1000 note fixed cassette, an electronic safe lock, and a 3” graphic thermal receipt printer (can print coupons and ads). The 2700CE has similar add-ons as the GenMega’s, including a larger touchscreen, cencon lock, etc. For those add-on’s prices are about the same as mentioned above. But, the Hyosung also has some optional add-ons that the GenMega systems do not, including fingerprint ID, a built-in security camera, and more. Of course, the more add-ons, the higher the cost and to get an accurate quote, you would have to talk to a provider directly with your specific add-on list. The GenMega machines, and specifically the G2500, are considered the most reliable in the industry, giving them the slight edge over the Hyosung 2700 CE. But, the Hyosung units are also very solid, and the 2700 CE is one of the best-rated in their ATM machine lineup. 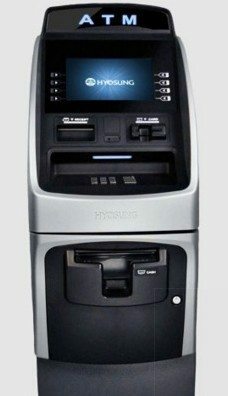 I talked with two different ATM providers when researching for this guide and both recommended the GenMega 2500 as the machine of choice for small business owners. One of the main reasons for that, was because of their reliability. I talked with was Evan Almeida, the Director of Operations for Empire ATM Group. He explained that one of the reasons he recommends the GenMega 2500, is because GenMega is a little more consistent with their design than some of the other providers in the industry, which has led to more developed components and less machine problems. Plus, if something would go wrong, the consistency of design means it is easier to find replacement parts and get experienced support. The GenMega Onyx is another solid GenMega machine. It is a little newer machine than the 2500, meaning it is not quite as battle tested long-term. But, from initial indications, the Onyx will be another reliable staple of the GenMega line, providing a little sleeker and more modern look for higher-end businesses while still maintaining the reliability of design and manufacturing that has set the 2500 apart. The Hyosung 2700 CE is also a newer system than the GenMega 2500. It is widely considered Hyosung’s most reliable machine. When I was talking with Evan, he explained overall the Hyosung’s have a good reputation. The only issue, is that they like to change their design fairly often, meaning that parts and service for existing machines can be a little harder to find several years down the road. Warranties and Customer Support can vary quite a bit, because ATM resellers and providers often partner with the actual ATM manufacturer to offer support and warranties. Warranties are generally 12 months, although some providers offer more. When it comes to customer support, both companies have solid support from the manufacturing end. However, part of the support package, at least when it comes to the actual sale, is often handled via the reseller, so the quality and helpfulness of the support can depend on which company you purchase your ATM from. When it comes to screens and EMV readiness, all three providers are pretty similar. All 3 machines come with a standard LCD screen (varying sizes) but can be upgraded to a touchscreen. They also all come with EMV card readers. If you just buy a standard package, all 3 machines are very similar in security features. If you want to upgrade, the Hyosung 2700 CE has the advantage, with optional security features such as a built-in camera and a thicker safe. Let’s take a quick look at each. The GenMega G2500 comes with an 8” LCD screen with a 16 key alphanumeric keypad. If you want to spend another $250-$300, you can upgrade to a 10.2” color LCD touchscreen instead. The GenMega comes with a UL 291 Business Hours grade safe and a mechanical dial-lock that you use to withdraw and deposit money from the machines. You can upgrade to an electronic safe lock or an even more secure Cencon high-security lock, but it will cost you $70 (electronic) or $650 (Cencon) respectively to do so. The GenMega Onyx has a little larger standard screen then the G2500, sporting an LCD 10.1” with 16 key alphanumeric keypad. For around $250, you can upgrade that to a 12.1” color LCD touchscreen. Like the G2500, the Onyx comes with a UL 291 Business Hours grade safe and a mechanical dial lock, with exactly the same electronic and Cencon lock upgrade options. The Hyosung 2700 CE comes with a standard 10.2” color LCD screen with an infrared touch function keypad. If you want to upgrade to a 10.2” touchscreen, you can for $100-$200. Like the GenMega’s, the 2700 CE comes with a UL 291 Business Hours grade safe, but comes with an electronic lock as opposed to a dial lock. For around $400, you can upgrade to a S & G lock and to a Cencon for around $600. The other security options which the GenMega’s do not have, are a fingerprint id, a built-in security camera, and a UL Level 1 safe (one step higher than the 291). But of course, with each addition, the price tag goes up. Each ATM machine has what is known as a cassette or multiple cassettes, which is where the money is kept inside the machine. Some are fixed and some are removable, for added convenience and so you can refill off-site. There are also receipt printers, which print out transaction receipts and even ads and coupons (if the paper is 3” in-size). The Hyosung 2700 CE has the slight edge in the standard package, with its ability to hold 200 notes more than the GenMega’s and it’s 3” thermal printer that is included. But, you can make that upgrade to the GenMega’s for under $200, so the difference is really minimal. The GenMega G2500’s standard package comes with a fixed cassette that can hold 800 notes or bills. You can upgrade to a removable cassette that holds 1,000 notes for $50 more or one that holds 1,700 for $250 more. With all possible cassettes in, the G2500 can hold up to 8,000 notes. The standard receipt printer is 2”, but can be upgraded to a 3” graphical printer so your ATM machine can include coupons and graphics on the receipt. The GenMega Onyx comes with an 800 note fixed cassette in its standard package. The upgrade options and pricing are similar to the GenMega G2500, with 1,000 and 1,700 note cassettes available for additional cost. The Onyx can hold up to 8,000 notes with all cassettes in. Like the G2500, The standard receipt printer is 2”, but can be upgraded to a 3” graphical printer. The Hyosung comes with a 1,000 note fixed cassette. You can upgrade to a 1,000 note removable cassette for $25 and a 2,000 note removable cassette for $350 or so. The 2700 CE can hold up to 3 2,000 cassettes, for a total capacity of 6,000 notes. The Hyosung has a 3” graphical thermal printer that comes standard, meaning you will not have to pay any extra to print coupons and advertisements on your receipts. All 3 ATM machines can connect to make transactions via TCP/IP Ethernet or a traditional phone line. The Hyosung 2700 CE can also connect wirelessly, but that adds an additional wireless connection cost and also raises more security issues. In most cases, ATM machines should be hard-wired in for maximum reliability. Both the GenMega’s and the Hyosung can be programmed to play customizable ads during transactions. When it comes to eye appeal, the Onyx and the Hyosung 2700 CE have a little edge on the G2500, mostly because they were designed with a little higher-end location in mind and are a bit sleeker. But in all honesty, all 3 machines should be appealing enough visually to work in almost all small business locations. All in all, getting a good ATM machine is about finding one that is reliable and does the job. Most small business owners are not going to need anything too fancy, just something that will consistently process money and not breakdown. For that, there is no better unit than the GenMega G2500. If you’d like to set up an ATM but don’t want to pony up for it, you can always work with an ATM service such as Prineta, which will install and maintain a machine for free while you collect commissions. Click here to schedule a consultation. The best way to get a quote, would just be to go to Prinetta.com and they’ll help you talk through the options and pricing!